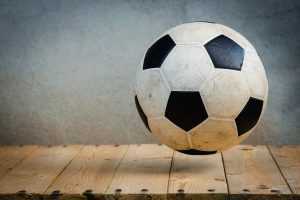 Many World Cup soccer players and members of the Soccer Hall of Fame were born in Kearny – also known as Soccer Town USA. The former mill town of Kearny is located in Hudson County, between the Passaic and Hackensack Rivers. Recently, there has been an influx of younger residents. This ethnically diverse, blue-collar town has attracted immigrants from all over the globe. The first immigrants came from Ireland and Scotland in the 19th century. They worked in the area’s textile mills. The town holds many events celebrating its ethnic diversity. Some of them are the Peruvian Independence festival, the Irish Parade, and weekly dinners held by the Portuguese Cultural Association. Kearny is a factory town and they have the nickname of “Soccer Town U.S.A.” due to the influx of Scottish immigrants in one of the factories from Scotland. This area is an urban area with plenty of high rises. You will definitely want local movers in Kearny, NJ, due to the traverses that your movers will have to understand in downtown urban locations. Vector Movers should be your movers because they know the area and will be able to get your belongings safely to their destination. There is a variety of homes to choose from. They all vary in value, age, and style. For example, there are three and four-story apartment buildings, two-family houses and modest single-family houses. The northern, more affluent end of the town has larger homes. A few apartment complexes and shopping centers are being built along the outer ring of the town that used to be strictly industrial. The median home value is $307,100. The median property rent is $1,184 but rental prices range from about $1,100 for a one-bedroom apartment in an older apartment complex to $2,800 which is the price of a renovated four-bedroom duplex. Most people drive to work, while only 14% use public transportation. Kearny is located 10 miles west of NYC and there are several options for getting to its heart – Manhattan. However, it does not have a train station. There is available bus service to the Port Authority Bus Terminal in Midtown Manhattan as well as other communities in New Jersey. Bus service to Newark is also available. The closest airport is Newark Liberty International Airport. It is located 6.5 miles away in Newark and Elizabeth. The Kearny School District includes several public schools – pre-kindergarten through 12th grade. There are five elementary public schools from pre-kindergarten through 6th grade. The largest elementary school is Franklin Elementary School. Furthermore, there are Lincoln Middle Schooll and Kearny High School. Also, students can attend several private schools in Kearny. Vector Movers is a local moving company in Kearny, NJ, and we are an elite moving company. Our customers agree that we are pretty special and they have voiced their opinions and ratings on Yelp. We have a 5-star rating and tons of comments to support us as a business. You can also check our Better Business Bureau to find our A+ rating. Our ratings are top notch, just like our customers. Check out our ratings and what our customers have to say and then give us a try. There are many moving companies in Hudson County but few of them can meet your demands like we can. We are all a client can ask for and more. Kearny is one of many cities in Hudson County Vector Movers serve. If you plan to move to or from Kearny in the near future, find the best movers near you – our Kearny movers! We are a moving company Kearny NJ is proud to have. What are the services our moving company Kearny NJ offers? Being bonded, insured, and licensed makes us an ideal relocation partner. Vector Movers NJ provide all sorts of moving services. Our movers are the best in the business, not only because of the range of the services they provide but also because of their quality. Whether you are moving your home or office, short of long-distance, you won’t find anyone better than Vector Moving. These are the main services our Kearny NJ movers offer. Long-distance moves are known to be complicated and tiring. However, we can handle any distance, no matter how long. Short distance relocation also has its challenges but with our moving company Kearny NJ, nothing stands in your way. We approach both residential and commercial moves with the same level of professionalism. We know how precious your home is to you but we also understand that every business needs to be relocated quickly and efficiently in order not to lose profit. No matter what items you are relocating, we will make sure they are safely packed and ready for transportation. Packing is an essential part of the moving process. The safety of your belongings depends on it. Many things can go downhill due to improper packing. With our attentive packers, it will be done in no time with maximum precision. Opt for full-service or partial packing and rest assured that the items we pack will be unharmed. There is nothing we cannot move. Our special services include piano, fine art, and furniture moving, as well as packing. Our packers will make sure your belongings are packed, loaded and ready to go with maximum time efficiency. Be careful who you let into your property – we are the most trustworthy moving company Kearny NJ has. After many years of experience and thousands of happy customers, our Hudson County movers have earned an admirable reputation. If you don’t believe us, ask our previous clients. They have no reason to hide the truth. We are proud of our positive online reviews and we’ll do our best to live up to your expectations. Whether you choose a binding estimate or a non-binding one, it will be accurate. If you are worried about hidden fees, don’t be! You will be able to see all the fees listed in your contract. Moreover, we offer the most affordable prices to match the first-class service. Our staff undergoes extensive training to learn all there is to learn about their part of the job. 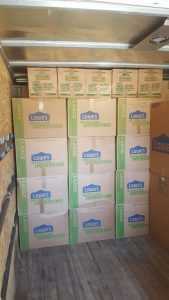 You will have the pleasure of working with friendly, punctual and hard-working movers whose main goal is to please you. They will take care of all your possessions, regardless of their material value. They know how to organize, pack, unpack and transport avoiding any risks. Moving truly is a risky endeavor but our movers do not take any chances. Apart from training our staff to be extremely careful and thorough, we provide insurance for your belongings in case of an accident. Our moving company Kearny NJ takes full responsibility for your belongings while we are in charge of them. If something happens, which is unlikely, the damage will be covered. If someone else is doing it, you don’t have to. This gives more time to the other aspects of the move. You don’t have to worry about time or issues with items not arriving in good condition. Professional movers are insured. You don’t have to worry about you or a friend hurting themselves during the move. The cost is definitely worth your time and energy, plus you will never have all of the specialty equipment the movers will have. Vector Movers is highly efficient in all that we do. We work together like a well-oiled machine. Relocation specialists that will be your first contact with our company. They handle quotes and all of the questions you may have about the move or during the move. Movers are the muscle in our company and they take care of all the manual labor. Our moving company Kearny NJ will stay in constant contact with you during your move. When our employees are hired, they have a background check and they go through extensive training on the practice of packing, wrapping, and loading the truck in a manner that is safe for your household goods. This means that we are investing time and money into your movers, so you will get your moving job done properly the first time without error. Vector Movers is also here to be of service for the pre-move and post-move. If you require packing before your move and need supplies, we can ship items out before moving day. If you require help packing we can assist. Maybe you just need help with the heavy lifting and the transportation part and do not require any packing assistance, we can do that too. We can do as little or as much as you need to get the move on track and going in the right direction. If you need a move around the corner or across the nation, we are here for you and ready to take on your move. We also offer 30 days of storage for your household goods if your new residence is not available. Remember, we are insured, bonded, and licensed to move and care for your belongings. Stash a pile of cleaning materials under the sink to ensure you have something left to clean up after all of the items from your home have been moved. Wrap your fragile and breakable items with clothes and linens, to double up on packing and save space. If you live in the downtown area, consider parking your vehicle up front the night before to save a premium spot for the moving truck. Start packing in advance and create a box or two for donations that you can use to sort belongings when packing. There is no need to pack and move things that you have outgrown. Pack your closet with trash bags over the clothes and the hangers exposed, for easy carrying and easy re-hanging. Mark all your boxes with color coding or stickers, so you know which rooms they should be unloaded into for unpacking. Call us at 201-266-3666 to obtain a customized and personable quote. Since you are on our site, feel free to find the request a quote section and obtain one here as well. Our relocation specialist will have a series of questions to determine your exact needs. We will then calculate the costs and provide a worry-free quote to you that does not have any hidden fees. Vector Movers is a premier moving company Kearny NJ that wants to earn your business. Give us a chance and we will make sure to impress.